The East Coast is the most popular route for road trips in Australia and it’s no surprise why. With it’s picture perfect beaches, pretty seaside towns and cities, amazing wildlife, and of course the Great Barrier Reef, there is so much to explore. Several driving routes are mapped out which incorporate the best features of this wonderful country. To help you start planning an unforgettable road trip, here is a roundup of some of the best road trips you can take along the East Coast. The Great Barrier Reef Drive is a scenic coastal route that takes you from the city to the jungle. Start off in Cairns and make it your priority to go on a snorkelling or diving trip to the Great Barrier Reef. Thousands of different types of marine life are found in the reef which provide a breathtaking scenic experience. Afterwards explore some of the many attractions that Cairns has to offer, including the Regional Gallery and beautiful botanic gardens. Take a skyrail cableway or train ride to Kuranda and go for a rainforest walk to see the Barron Falls or visit the markets. Travel to the Northern Beaches to soak up the sun on a long a stretch of sand. Palm Cove is one of the most developed areas and popular with tourists. Then stop at Rex Lookout between Cairns and Port Douglas to witness amazing views looking over Wangetti Beach. 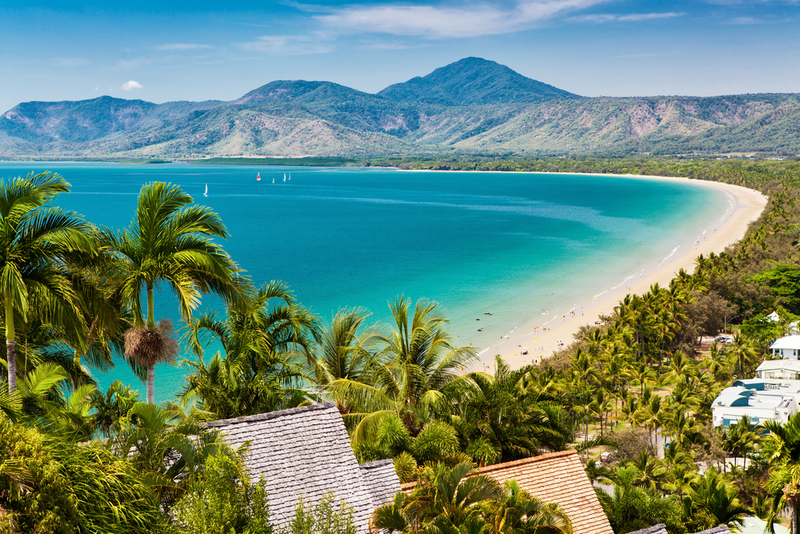 The next stop is Port Douglas, which offers a range of bars, cafe and restaurants, as well as sailing, snorkelling and scuba diving tours. At Mossman Gorge, take a swim in the photogenic Mossman river which cuts through the lush rainforest. Make a trip to the historic Daintree Village and book a croc spotting tour before taking a cable ferry to the beautiful rainforest. Cape Tribulation is the final stop and offers a mix of pristine deserted beaches and ancient rainforest. Spend a couple of days here in their luxury rainforest accommodation. Travel across some of the world's most beautifully stunning beaches by taking on the Great Beach Drive. You will need a suitable 4WD vehicle for this road trip, which begins in the Sunshine Coast in southeast Queensland. Explore the breathtaking geology of the Glass House Mountains which rise above the subtropical plains. The very popular Australia Zoo is located nearby and is also worth a visit. Head on down to Noosa North Shore and take a break from driving to go horseriding on the beach. Venture out into the everglades on a kayak, canoe or cruise and travel through its magnificent waters. Then drive down to the gorgeous Rainbow Beach which is jam-packed with activities including paragliding, hand gliding, skydiving, surfing and fishing. 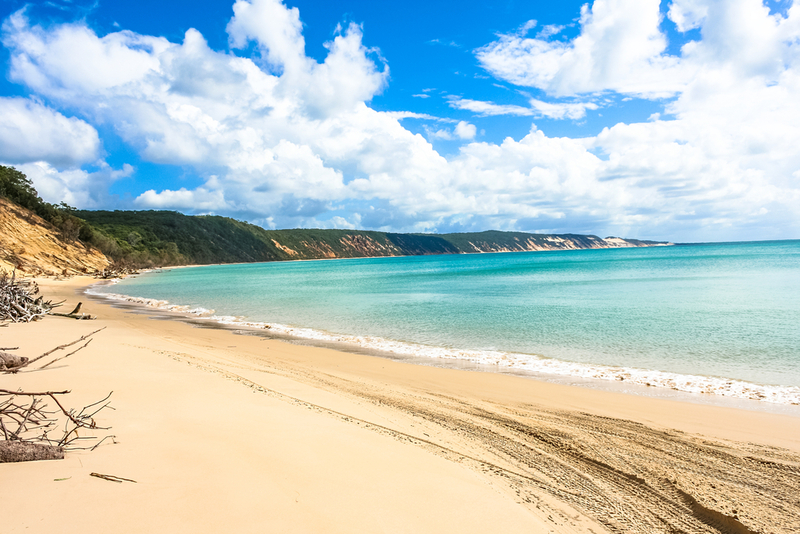 Travel to Inskip Point and board the barge to the World Heritage-listed Fraser Island. Take an organised tour or drive a 4WD to explore shipwrecks, huge dunes and crystalline lakes to take a dip in. Visit the historic Maryborough, birthplace of Mary Poppins author PL Travers. Follow the Magical Mary Trail to learn about the city's heritage and connection to Mary Poppins. Then discover the amazing wildlife at Tin Can Bay, including the rare Indo-Pacific humpback dolphins, sea turtles and dugongs. Experience two different sides of Australia by driving from the vibrant city of Brisbane to the laid back Gold Coast surf towns and northern New South Wales. Take a few days to explore the subtropical climate of Brisbane, with its range of wonderful parks and outdoor spaces. View wildlife including koalas, kangaroos and Tasmanian devils at The Lone Pine Koala Sanctuary, the world's oldest and largest koala sanctuary. Then check out the fantastic range of bars, cafes and restaurants. Experience the vibrant theatre, music and arts scene by visiting the Queensland Gallery of Modern Art (GOMA) and the Brisbane Powerhouse. Afterwards, venture out to the scenic North Stradbroke Island for surfing and sea kayaking, and feed wild dolphins at Moreton Island. Once you've exhausted yourself in Brisbane, it's time to travel an hour south of the city to the sunny Gold Coast. 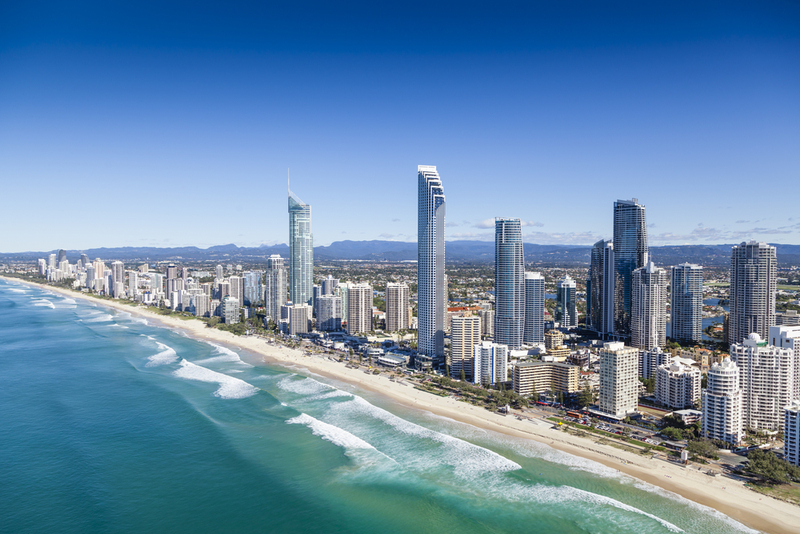 The main attraction of this coastal city is obviously its beaches, including the famous stretch of sand at Surfers Paradise. There is also a lively nightlife and several theme parks you can visit to relax and have fun. A further 50 minutes south into New South Wales brings you to the stunning Byron Bay. The town has several spectacular beaches which are perfect for surfing, and are often surrounded by dolphins, rays, whales and sea turtles. Thanks to its bohemian past, you will find Byron Bay to have a very relaxed vibe, making it a great final destination on your road trip. Discover some of the best islands along the East Coast with a road trip from Airlie Beach to Magnetic Island. Airlie Beach is well known for being a lively party destination. If this is not your scene, it is also a popular departure point for trips to the exceptional Whitsunday Islands archipelago. With 74 islands, you will easily be spoilt for choice on which ones to visit. Many of them are uninhabited, but there are several which offer beach camping. During your trip, make sure you visit the glorious Whitehaven Beach and experience the beauty of its turquoise waters and soft white sand. 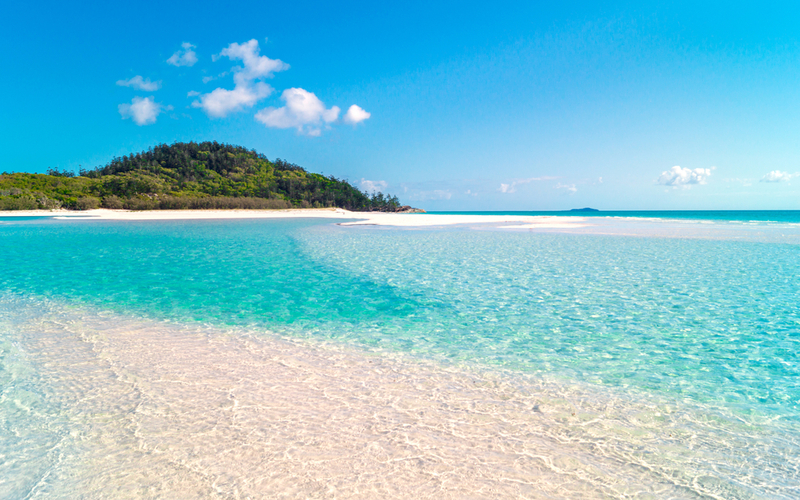 Not surprisingly, it is considered the finest beach in the Whitsundays. After exploring some of the amazing islands, stay a few nights at one of the resorts on either Hamilton, Hayman or Daydream island. Then head three hours up north to Townsville, one of the major cities in Northern Queensland. Here you can walk across the splendid esplanade, march up Castle Hill and visit the Reef HQ Aquarium. The city is very pedestrian friendly, and you can find yourself wandering for hours looking at the refurbished 19th century-buildings. To finish your road trip, take a ferry over to the laid-back Magnetic Island. Take a coastal walk or soak up the sunshine on one of their beautiful beaches. Over half of the area is a national park so there are plenty of scenic walks you can take, with the chance to see amazing wildlife including rock-wallabies. Drive along the coast road from Sydney to Melbourne and be taken on a journey through breathtaking national parks, pretty surf beaches and relaxed seaside towns. The iconic city of Sydney has so much to offer, you might find it hard knowing where to begin. Start off by visiting some of Australia's most recognised landmarks including the Sydney Harbour Bridge and Sydney Opera House. Take a trip to Bondi Beach and enjoy the laid back atmosphere of one of the world's best city beaches. Nearby is the wonderful Royal National Park which features secluded beaches, dramatic cliffs and wildlife. From here there is a 140km scenic coastal route called the Grand Pacific Drive encompassing winding roads, picturesque beaches and quaint seaside towns. Continue south to Jervis Bay where you'll find white sandy beaches, crystal clear waters, playful dolphins and national parks. Venture to Narooma, a pretty seaside town with many surf beaches, and catch a ferry to Montague Island which takes you past whales, seals and sea turtles. Visit nearby historic town Central Tilba and cross into Victoria to reach Wilsons Promontory National Park. See penguins and seals frolicking on Phillip Island, and sleepy koalas in their natural habitat before finally heading to the cultural capital of Melbourne.